Step 1: cover your hair with coconut oil and leave it over night which will make your hair healthier and shiner. Brush your skin toward the heart, starting at the feet and hands and brushing toward the chest. This will help stimulate the normal lymph flow within the body and help the body detoxify itself naturally. In addition, dry brushing is one of the simplest and most natural ways to exfoliate skin. 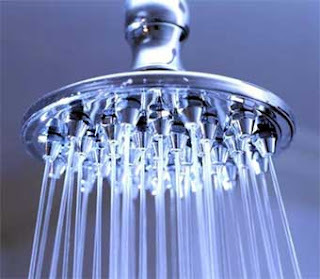 Rinse under warm water for at least 10 seconds to loosen dirt and oil. The conditioner should be concentrated around your ends and not your roots so it won’t leave your hair appear greasy. Leave for a 1 minute or 2 while you clean your body then rinse it properly. Stay away from traditional soaps which can irritate and dry your skin. Choose a non-soap hydrating shower gel like L’OCCITANE Almond Shower Oil. Note that loofahs and washcloths can become breeding grounds for bacteria and mold so sure you keep your loofahs dry and clean, replace them fairly regularly. Use a scrub (like Lush ocean salt) over your skin in small, circular motions. Start at the ankles because it helps to encourage positive blood circulation during the exfoliation process. Make sure to give extra attention to your heels, elbows, and knees. These are generally considered to be the driest parts of one's skin, and should be given greater attention accordingly. It is better wait until the end of your shower to start shaving. 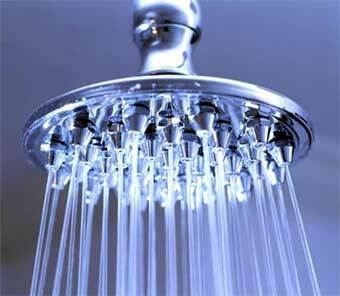 The hot water and steam soften your hair, making it less likely to tug and cause irritation. Wait until you’re completely finished shampooing and conditioning to ensure you are washing away all pore-clogging product runoff. Turn the water temperature to lukewarm to protect the delicate skin on your face and do your final rinse in cool water to tighten up your pores thus make pores virtually imperceptible.